Details emerge about Hurd’s alleged payments of up to $20,000 to a woman whose job was to attend parties, make introductions, dine alone with the now former CEO. 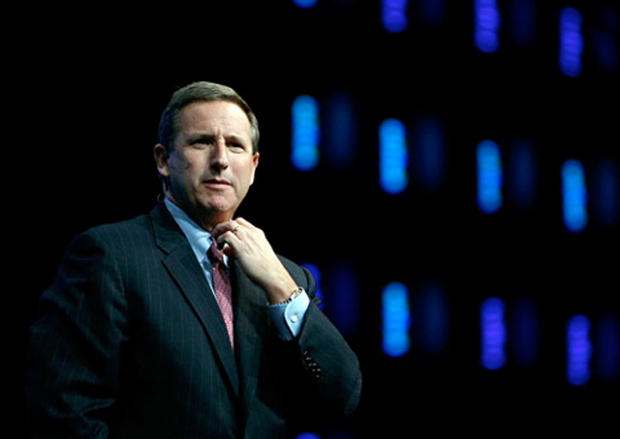 First came the late Friday press release, in which HP announced that its CEO Mark Hurd had resigned, following a claim of sexual harassment by a former contractor to the company. Now comes a New York Times report that it was Hurd’s settlement with the alleged victim that set off a chain of events that lead to his resignation. Specifically, investigators reportedly found several improper payments from the fall of 2007 to the fall of 2009 in amounts from $1,000 to $20,000 to a woman hired to greet people and make introductions among executives attending HP events that she helped organize, the Associated Press reports. Sources also told the New York Times that the woman attended events in the U.S., Europe, and Asia and that Hurd often dined alone with the woman. Hurd also reportedly falsified expense reports to hide the woman’s identity. performance or financial integrity of HP. It’s likely an obituary for Hurd’s career. Since joining the company in early 2005, Hurd has helped HP’s revenue grow more 40% to $114 billion, and oversaw the $1.2 billion acquisition of Palm. In June, Hurd also announced a plan to lay off 9,000 workers over a three-year period. He earned more than $24 million last year in salary and bonuses and was said to be in talks to sign a new three-year contract worth $100 million. Following the Friday resignation, he was said to have received a severance package worth $28 million in cash and stock. “Every time we threw Mark out the window he landed on his feet,” said NCR head Gilbert Williamson, who worked with Hurd for years, in a 2009 profile.